SHIPS FREE!!! 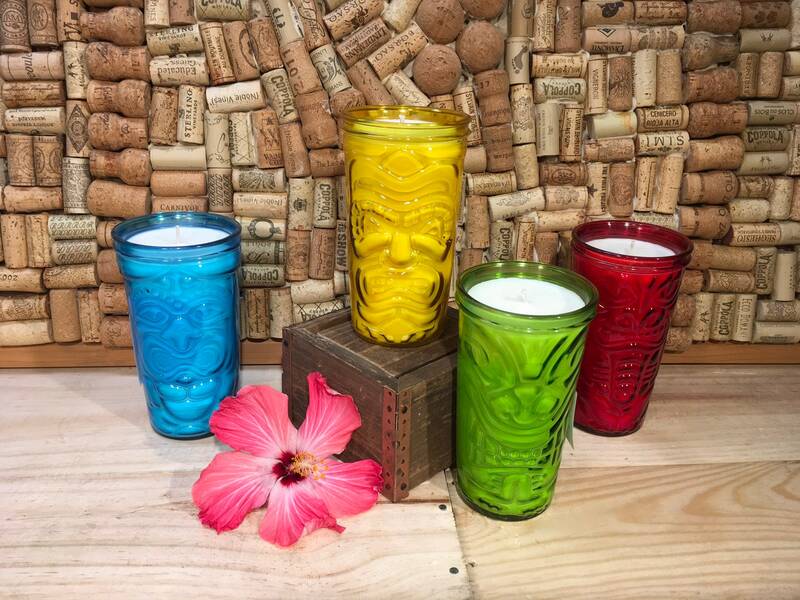 This large candle would be the perfect addition to any Tiki bar! It will look better and better as it burns down and the Tiki face begins to glow. 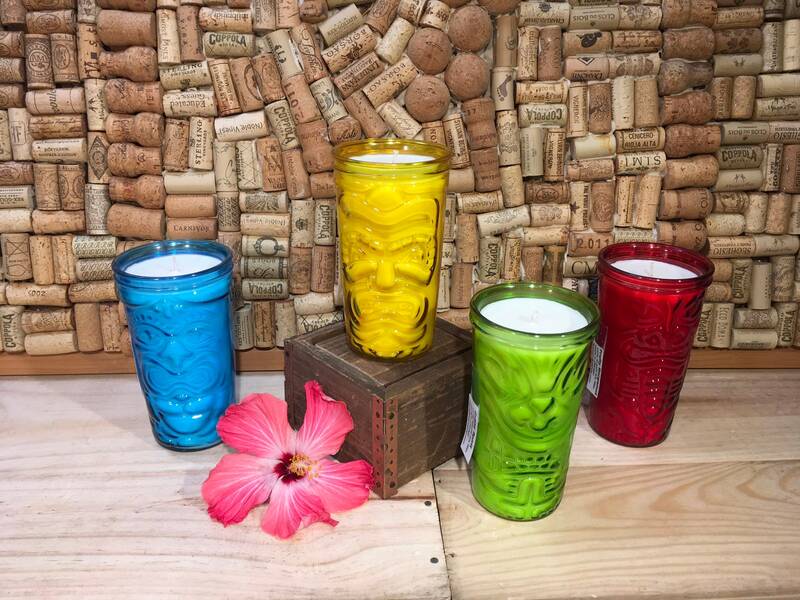 When the candle is done you can clean out the glass and use it! Choose which one you prefer by using the drop down menu. They are arranged by color in the drop down menu. See below for a description of the scents. 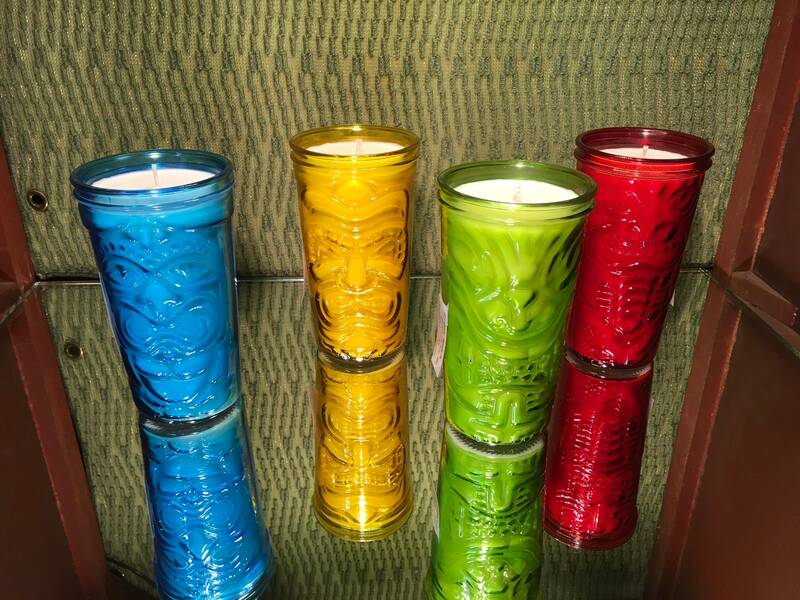 The yellow and the red glass are filled with our Fruity Bergamot scent. This fragrance has top notes of peaches and mandarin, middle notes of bergamot, and base notes of white musk. Juicy and fresh! Blue glass is filled with our Indian Sandalwood scent. Our Indian Sandalwood fragrance is a powerful, sweet, rich, woodsy fragrance. Very warm! 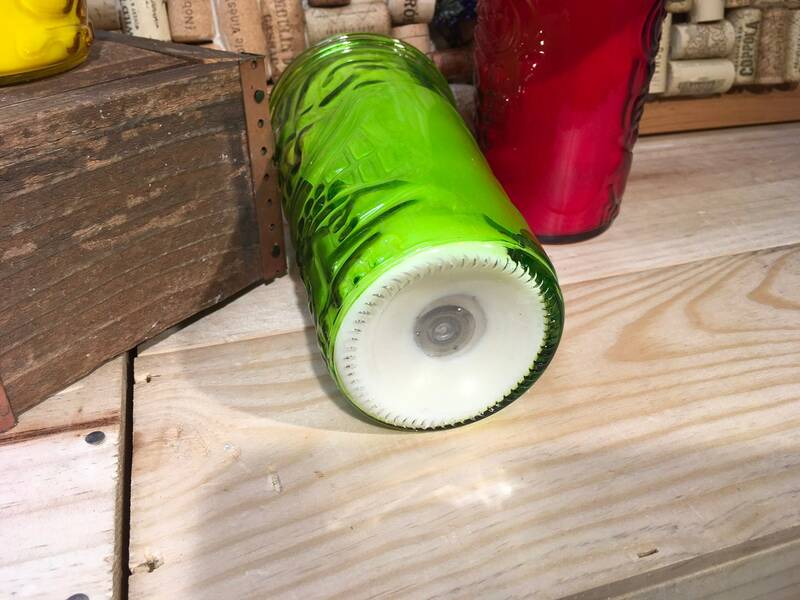 The green glass is filled with our Gypsy Spirit scent. This fragrance has top notes of of citrus and tea, middle notes of pepper and ginger, and base notes of cedarwood. My favorite! Expect more than 75 hours of room filling scent from this bad boy. 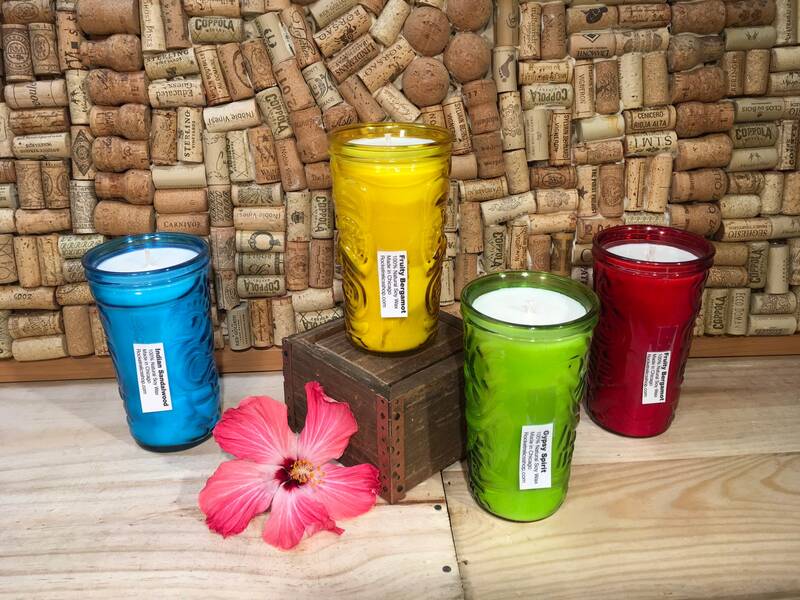 I use premium 100% natural US non GMO soy wax. This features a cotton self trimming wick. My fragrances are phthalate free, no nasty stuff!